Turmeric is a root based spice from the Curcuma Longa that is mildly aromatic and has scents of orange or ginger. It has a pungent, bitter flavor. 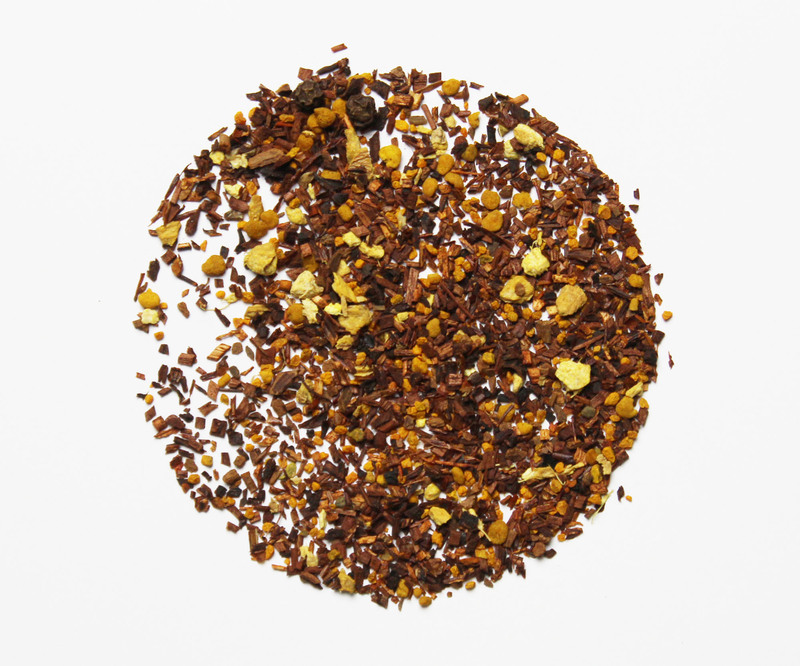 Turmeric Comfort brings together the smooth flavors of organic honeybush, organic rooibos, organic turmeric, organic cinnamon, organic pepper whole, organic ginger, and honey bee pollen to make a cup of tea that will be a little earthy, a little spicy, and a little sweet. If you enjoy our Turmeric Comfort take a look at our Rusty Roots tea. They are close cousins and make a great addition to your tea cupboard.